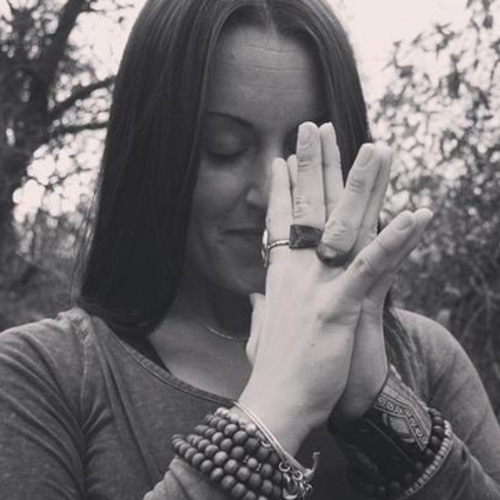 Catherine is a New Jersey based 200-hour RYT specializing in Vinyasa Yoga. With a background in ballet and modern dance, Catherine naturally connected with yoga and started the practice as a teen. While attending college, Catherine lived right nextdoor to YOUnique Yoga. She started working at their front desk in exchange for free yoga. This is where Catherine fell in love with the practice. She completed their 200-hour teacher-training program under Yoga Alliance and began teaching. Once she finished college, Catherine moved to the Jersey Shore where she taught yoga full-time. She has taught in many amazing studios, on beaches, and on water. Now residing in Hunterdon County, Catherine is the co-creator of Yoga Haven, a free spirited yoga studio in Clinton, NJ. She also handles public relations for an Ayurvedic Practitioner, deepening her knowledge of ancient healing methods from India. In her spare time, Catherine can be found on her SUP board (stand up paddle). This has led her to her most recent opportunity where she will be managing a team of SUP Yoga Ambassadors across the globe. Catherine’s classes are fun and accessible to everyone. The environment is peaceful and non-judgmental. She incorporates creative sequencing and deep breathing, all to good music. Her purpose in life is to inspire. Spread love. Spread peace. And to find a deeper purpose in everything that she does.